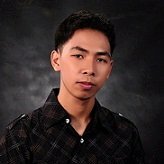 Hello there, can u help me. my problem is my form not found. form is dsabled. can u help me to fix this one. thank u so much for you help. Sorry for the inconvenience. 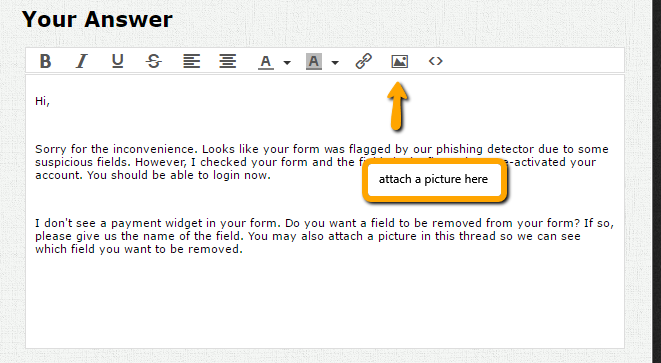 Looks like your form was flagged by our phishing detector due to some suspicious fields. However, I checked your form and the fields and I see nothing suspicious. I have re-activated your account. You should be able to login now. I don't see a payment widget in your form. Do you want a field to be removed from your form? If so, please give us the name of the field. You may also attach a picture in this thread so we can see which field you want to be removed. hello, thank u for your reply. however, i log out and then log in again. 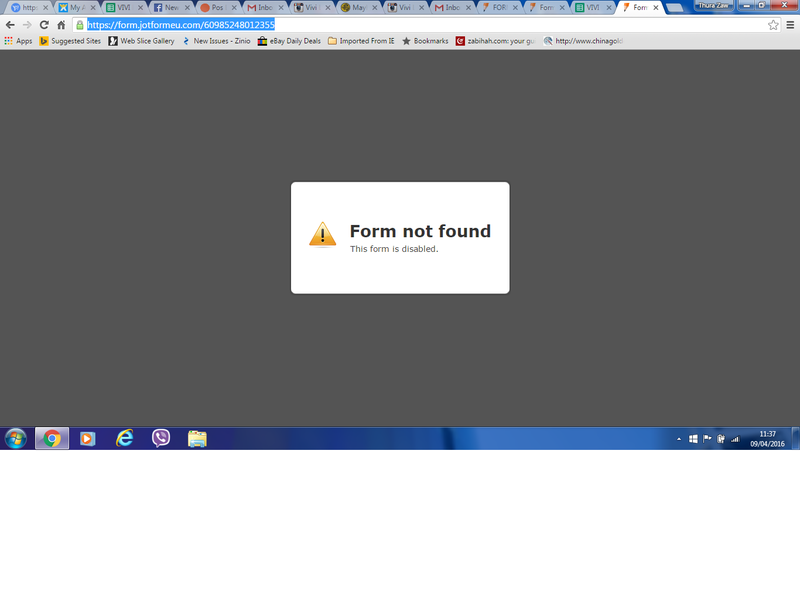 still the form not found. fot the payment, i dont want use any payment widget since it offline payment. Can you try clearing your browser's cache if it's still not loading the form from your end? I have also cleared your form's cache on your account just to be sure. Please do let us know if the problem persists.